Great to learn about the dojo and behavior inside. The goals of the budo - the martial arts and ways of Japan - lie in refining the body and spirit. These goals are not always the obvious ones - and are learned only through the guidance and direction of great teachers. The techniques, methods, and rituals of the sensei can serve as guides to a well-lived life - and provide invaluable lessons for today's martial artists. Persimmon Wind - part memoir, part martial arts history, and part travelogue - relates Dave Lowry's experiences as he travels to Japan to reunite with his sensei, visit the graves of others of his martial lineage, and explore a country and culture that profoundly influenced his life. Lowry's account reveals a Japan unlikely to be witnessed by the average Westerner. 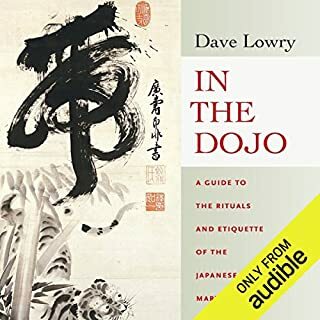 Drawing on his deep knowledge of the martial arts, Lowry acts as an interpreter of sorts, deftly describing for the listener the myriad ways in which Japan's subtle, yet rich customs and rituals inform and enrich the seemingly mundane practices of life. What is the relationship between the student and teacher, and what should one expect from the other? What does rank really mean? How do you correctly and sensitively practice with someone less experienced than you? What does practice look like as one ages? Why do budo arts put such an emphasis on etiquette? Lowry also gives practical advice for beginning and advanced students on improving structural integrity in posture and movement, focusing under stress, stances and preparatory actions before engaging with an opponent, and recognizing a good teacher from a bad one. 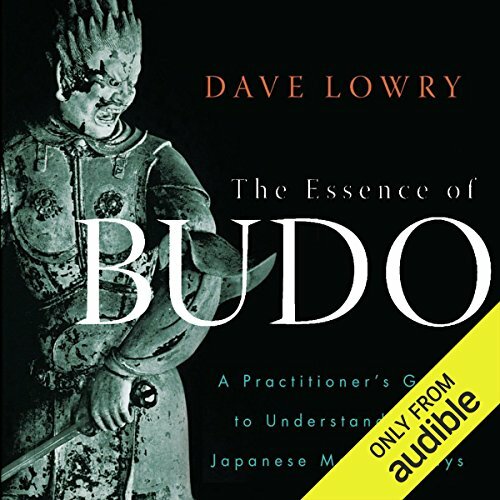 ©2010 Dave Lowry (P)2014 Audible, Inc.
Would you listen to The Essence of Budo again? Why? Yes. This book was like sitting in a dojo or tea house with a wise, strong, but relatable Sensei. I found each chapter better than the last. The insights and observations are practical ,insightful, and even convicting. As a westerner, I had no idea how many misconceptions I had about Budo. As a martial artist, I am richer from David Lowry's guidance. Last but not least, Brian Nishii did an EXCELLENT job of narrating. He captured the author's intent near perfectly. I look forward to listening to more of his work. I am also an audiobook narrator so I can learn from listening to good narrators too. 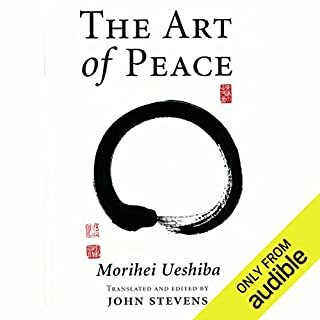 What other book might you compare The Essence of Budo to and why? 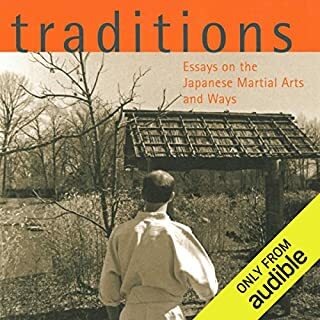 I can only compare this book to other's I've read by David Lowry such as Traditions or In the Dojo. David Lowry style of writing instructs on the true Budo, exposes mythical influences, and helps us dispel them from our lives. He does so with a smile almost it seems. I find myself often saying "thank you" for the training he puts into his words. I wish I could meet and talk to the author in person. 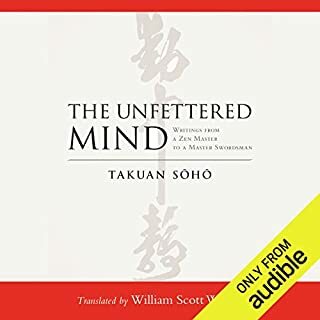 I particularly enjoyed the last chapter where he gave insights into the development of Budo in the 1900's, the comparison of the Japanese mindset as a Sensei vs. Western, and so on. Very enlightening. The chapter on choosing a Sensei was also excellent. I was amazed at how much influence popular media has had on what a true instructor should be like and not. I found this chapter alone to be worth the price of the book and something I will revisit. 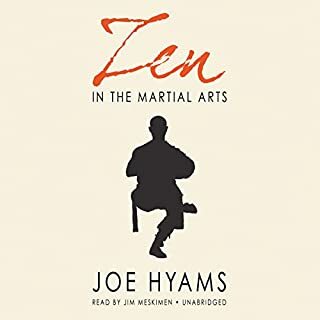 I highly recommend this book/audiobook to anyone who practices martial arts. I especially recommend to anyone who teaches them. You will find yourself thanking the author too for his guidance. Thank you Sensei Lowry for this outstanding book and thank you Brian for helping to bring it to life. As one who has been involved in the martial arts for many years, it's interesting to hear what someone else's view of the 'Budo' means to themself. While I had several issues and disagreements with this book, there were areas where I did find agreement on. So, to each their own. Great insight into the history and essence of budo. Superb to the bone clearing up of what is fantasy, romantic east, and down to earth martial art practice. Very good points well made, useful for all serious budou practioners. in fact all martial artists, new and experienced would gain from this book. I really wish I found this book earlier I could have avoided a lot of trouble. 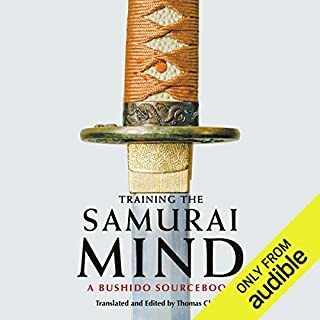 this book in particular I would highly recommend to anyone that is looking for a martial art or fighting art of any kind and is already studying one.